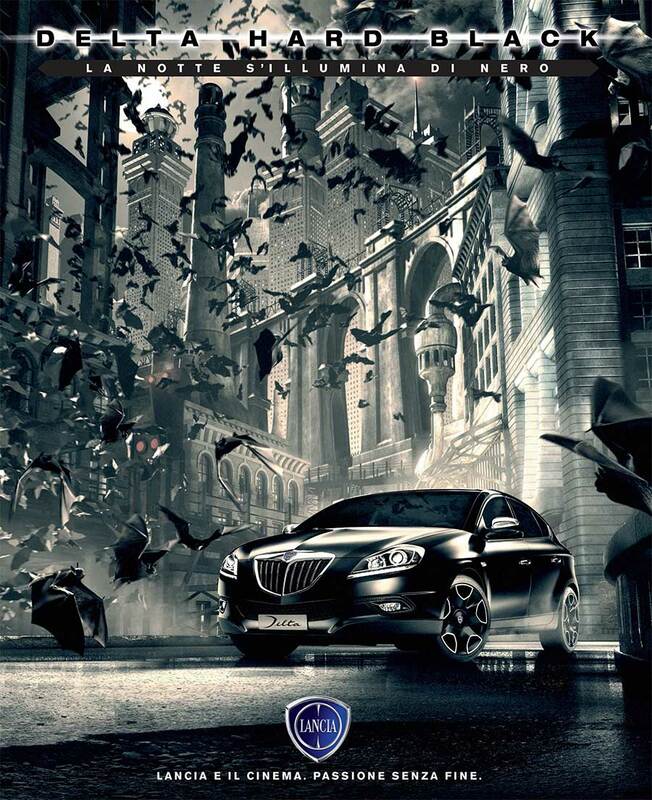 These is two advertising illustrations for new Lancia models: Delta Hard Black and Wonder Ypsilon. 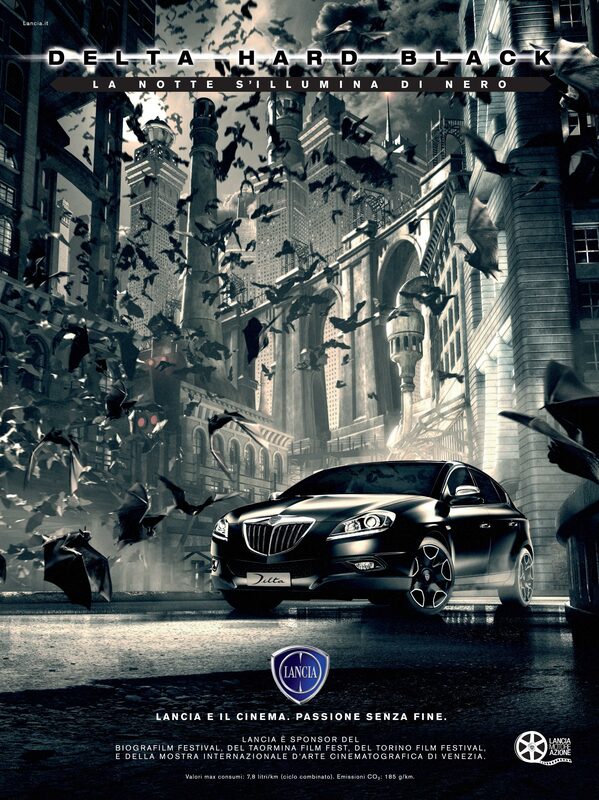 It be part of "Lancia, Motore, Azione", a campaign inspired by many famous movies. This time, the inspirations are Batman and Alice in Wonderland. 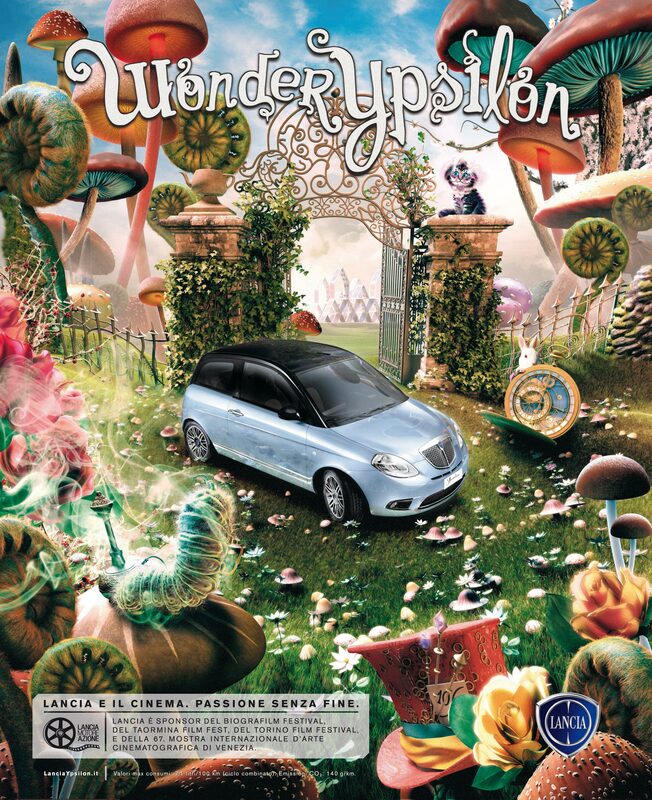 For Delta Hard Black I modeled the bats, in five different poses, in Cinema 4d and Zbrush, and for Wonder Ypsilon I modeled the caterpillar with his hookah, the mushrooms and the Mad Hatter's hat.